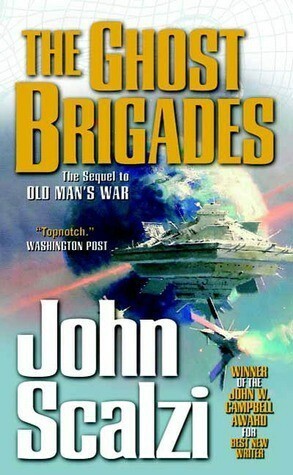 “The Ghost Brigades” is the second book in the “Old Man’s War” series, by John Scalzi. It tells the story of Jared Diriac, a private in the ghost brigades i.e. the special forces arm of the Colonial Defense Force (CDF). There is plenty of brutal action, which is expected since Jared is in the Special Forces. In fact, there is lots more action here than in “OId Man’s War”. Along with the special forces action, there is also an element of “spy thrillers” in this book given the paranoia around Jared and who he is. The plot is also more complex this time around. The Old Man’s War universe is explored in more detail. We get a deeper discussion of the CDF and its handling of Earth and colonies. In addition, we get a RRaey character and learn a bit more about the Consu. Next, we come to the writing. John Scalzi’s writing is still good. This time around there is less of snark and zingers, which left me disappointed. John Scalzi has developed the side characters a lot more. The Rraey character, Cainen, has a great character arc along with Jared Diriac. The special forces squad, that Jared is part of, is also developed much better this time. The returning character from Old Man’s War, Jane Sagan, while instrumental in this story, remains bland from a character perspective. I liked ‘The Ghost Brigades’. I appreciate the fact that John Scalzi has written this book differently from the first one. In addition,the ending was great. I recommend “The Ghost Brigades” to science fiction fans.